This year, the Odonto-Maxillo-Facial Hospital in Ho Chi Minh City will provide free dental examination to 400-500 patients to mark the World Oral Health Day, said hospital director Dr. Nguyen Duc Minh at a meeting to celebrate the special day on March 20. In response to the World Oral Health Day and with the aim to increase information of dental health for family members, the hospital and P/S Company jointly held a meeting to launch dental month with the message “Act for your teeth health." A free dental check-up is a part of the dental month. 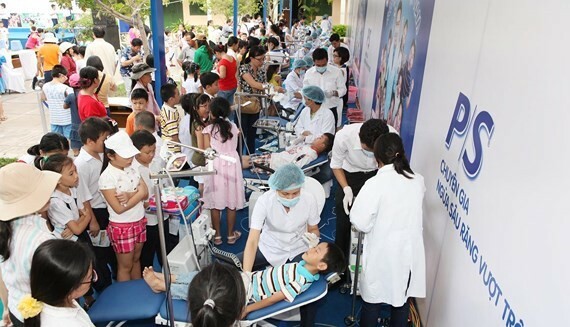 400-500 patients will enjoy gratis dental examination especially senior people and children on March 20, 21, and 22 at the hospital in 263-265 Tran Hung Dao Street in district 1. 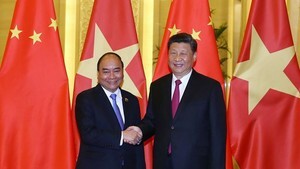 Moreover, they will be given gifts, said Director Minh. According to an investigation of oral health in 2001, 83,7 percent of Vietnamese children under 6 had a milk-tooth decay which greatly affected their daily activities. Therefore, they should be encouraged to build a good habit including brushing their teeth in mornings and in evenings. In the morning, Dr. Minh talked to 400 children about how to brush their teeth correctly. Additionally, a seminar on how to guide kids and elderly people in taking care of their teeth was organized on the day.